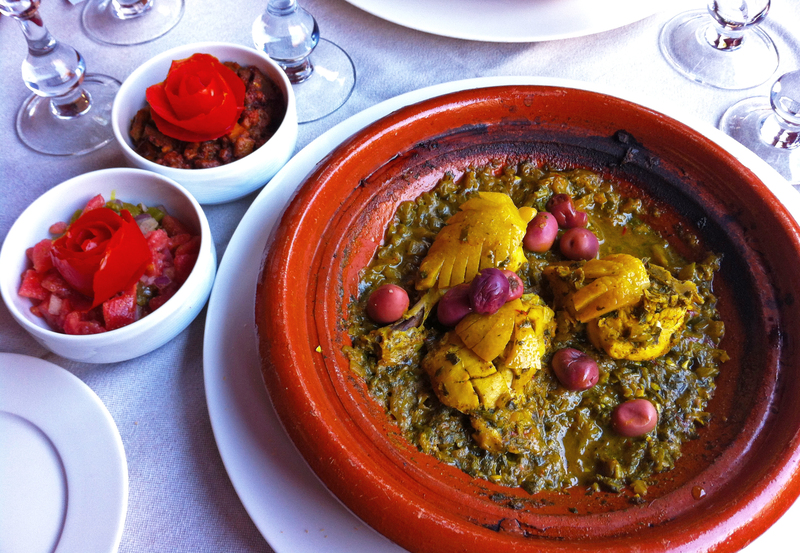 This recipe was inspired by ‘Chicken Tagine’ that I made during a cooking class in Marrakech. 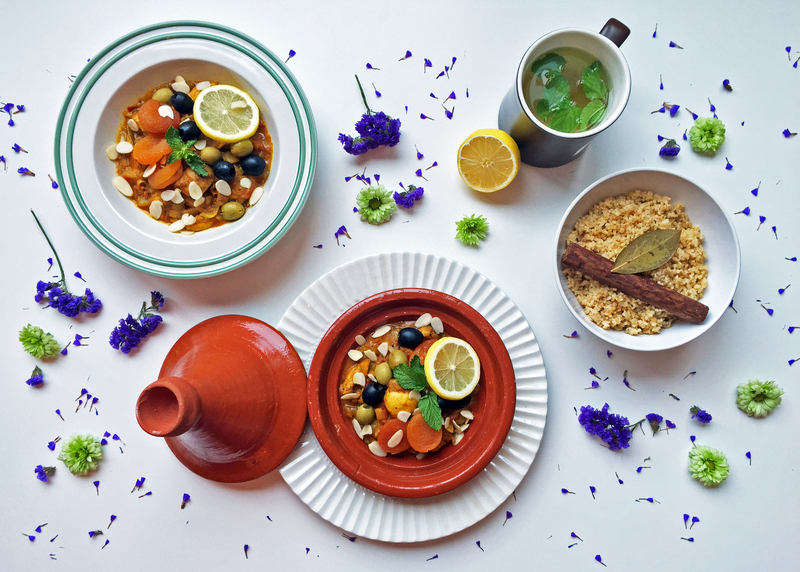 This dish has all the spices, which will give you wonderful Moroccan flavors and aromas but doesn’t require a tagine or a diffuser often needed at home to make traditional Chicken Tagine. And instead of cous cous, I like to serve it with healthier and nuttier option of ‘bulgur wheat’. Mix all 5 spices with olive oil. Scoop out inside a preserved lemon, discard seeds and finely chop. Add it to spices and oil. Cut chicken into generous bite size chunks (about 4-5cm square) and mix with marinate. Cover it with cling film, leave for 2 hours, (longer if you can) in the fridge. In a medium heat pan, add 2 teaspoons of olive oil. Cook onion until it’s starting to soften, approximately 3 minutes. Add garlic and tomato, cook for 1 minute then gently stir in marinated chicken. Pour in water, bring it to a simmer and turn the heat down to low. Cover the pan and continue to simmer for about 20-25 minutes (Or until chicken is still tender but cooked through). While chicken is cooking, boil water and chicken stock with a bay leaf and cinnamon stick in a pot. In a boiling liquid, add bulgur wheat and stir slowly for 1 minute. Bring it down to a gentle simmer in a low heat and cover. Cook it for 14-15 minutes, all the liquid should be absorbed and wheat should be fluffy. Remove from the heat and stir gently. Plate the chicken and sauce with dried apricots and olives. Sprinkle almond flakes on top and add lemon slices and mint leaves as garnish. Serve it with bulgur wheat. I’m sure he’s already developing some exotic palettes with your Indian spices. Let me know how he liked it.